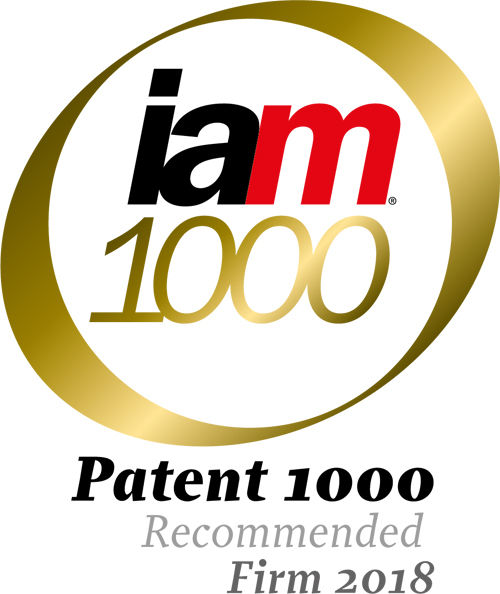 Recently, IAM PATENT 1000 published the annual list for 2018. Having been included in the list for four consecutive years from 2014 to 2017, Chang Tsi & Partners was again recognized as a Recommended Law Firm in the field of patent determination. IAM PATENT 1000 is a professional patent rating annual published under Intellectual Asset Management (IAM). The investigation & research personnel resident in Hong Kong and London spend five months every year conducting the investigation and research work, aiming to identify and estimate worldwide outstanding patent law firms and agencies. Besides, the investigation and research values nominations made by American respondents. Patent service is one of the core services offered by Chang Tsi & Partners. With the honors like “Top-Tier Intellectual Property Firm in Asia Pacific” and “Best Intellectual Property Firm in China” from many authoritative legal rating agencies such as Chambers Asia Pacific and China Law & Practice, Chang Tsi & Partners provides patent legal services that have won wide recognition in the industry. Chang Tsi & Partners has been consecutively appraised as “Leading Patent Law Firm” by Managing IP (Patent) since 2014, and also has been listed as “Highly Recommended Patent Law Firm in China” for 4 consecutive years by IAM Patent 1000 in the list of top worldwide patent agencies. The renowned patent rating agency IAM 1000 made the following comments on Chang Tsi & Partners in 2017: “Globally oriented Chang Tsi & Partners approachesintellectual property from a resolutely commercial perspective and utilizes sophisticated client and file management systems to ensure a seamless customer experience. Domestic and international patrons receive a delicated service from three specialist teams- electrical, mechanical and biochemistry- and are never left in the dark as to the progress of prosecution or litigation effort. The squad practices in English, Chinese and Japanese- a further draw for global players.